Thanks so much to Christina for sharing her color comparison photo. 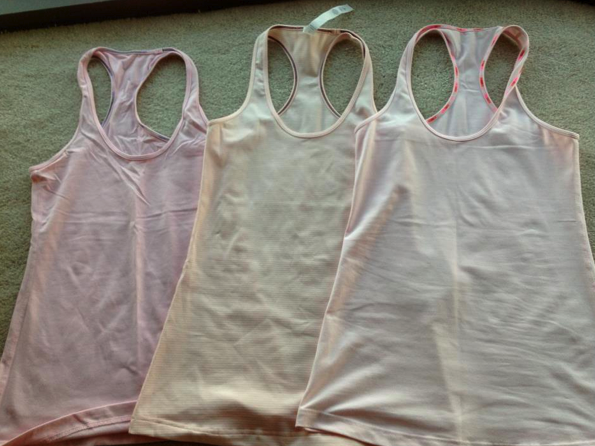 Left to right: Pig Pink, Tonka Stripe Pretty Pink and Pink Mist. "The Latest: Pigment Blue Studio Crops, Aphrodite Tank, Speed Shorts"